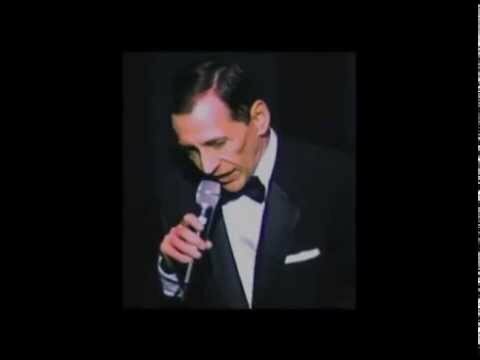 Frank Sinatra Impersonator demo with a band. Frank Sinatra Impersonator demo with pre-recorded accompaniment. Performing for the Make A Wish Foundation, as seen on L.A.'s Fox 11. Tribute to a classic ballad. In concert. . .A tribute to Frank Sinatra. 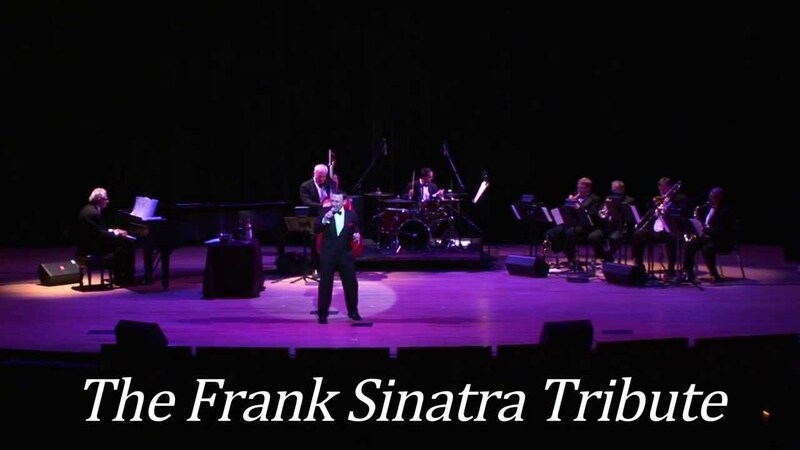 Re-creating the look, sound and manner of Frank Sinatra on stage. Transported into vintage Las Vegas. Bringing in 2018 at the Ritz Carlton in the Cayman Islands. Performing at a fundraiser for the American Heart Association in Tallahassee FL. Headlining at a Jazz Festival in Europe. A concert at the historic Hillcrest Country Club in Los Angeles. With a great Marilyn Monroe Impersonator in Las Vegas. With Kaley Cuoco of The Big Bang Theory at a fundraiser in Beverly Hills. At an event with Joe Mantegna, who received an Emmy nomination for his portrayal of Dean Martin in HBO's Rat Pack movie. At Universal Studios, after performing at a fundraiser hosted by the star of Monk, Tony Shalhoub. With Los Angeles mayor Eric Garcetti at a city event that featured a Frank Sinatra tribute. Performing for recording artist and actress Meaghan Martin, the star of the movie Mean Girls 2. The CD, available at FrankTribute.com, CD Baby, and Amazon. One of the perks of performing a Frank Sinatra Tribute. 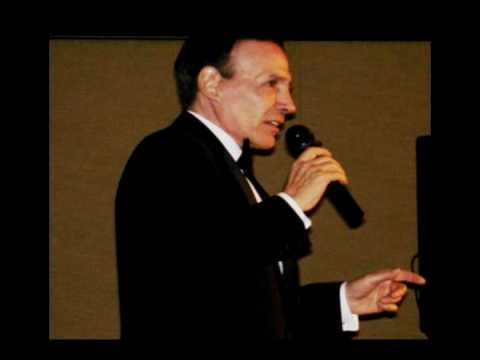 Monty Aidem has performed his accurate lookalike and soundalike Frank Sinatra tribute all throughout Los Angeles, San Diego, Palm Springs and Las Vegas, and at theaters, casinos and event centers across America. Monty was amazing! Great Show! We could not ask for anything more. A true Professional! We were very happy with Monty's performance. He looked and sounded great. A true professional. He even brought his own sound technician! Would highly recommend. Monty made a grand entrance to the stage at the Green Gala last week. We thoroughly enjoyed his performance. He even inspired some guests to come up to the stage and join in the fun with a little dance! Monty sounded perfect and covered some great Sinatra standards. I would highly recommend Monty for any event as he is a natural with the crowd and is well liked by all. He is professional, caring and an all around nice guy. I would recommend him for any event... he is simply awesome! Monty Aidem as Frank Sinatra - is wonderful! His tribute performance made it seem as though Frank Sinatra was in the house! Working with Monty was a dream and our event guests enjoyed his performance from start to finish. Tallahassee loved Monty and we hope to have him back. Monty looked and sounded just like Sinatra. And it was a personalized show with great comedy too! Awesome energy and great performance! Monty Aidem did a great job entertaining us at our holiday party. He was very professional and sang all the 'Sinatra" favorites. His jokes were funny and he invited the audience to participate which they enjoyed so much. Our event was a success thanks to Monty Aidem. He did an amazing job performing as Frank Sinatra. He gave a top-notch performance. He's a class act and true professional. Monty Aidem enjoyed a successful career as a TV comedy writer for stars including Johnny Carson, Dean Martin, and Frank Sinatra. Now his focus is performing his lookalike & soundalike Frank Sinatra tribute, seen at Disneyland, Knotts Berry Farm, Universal Studios and many other southern California locations. He's performed at Las Vegas landmarks like Caesars' Palace, The Bellagio, The Mirage, Planet Hollywood, and The Venetian, to name a few. Monty's also been seen at many Palm Springs locations including both former Frank Sinatra residences. . .plus the Fairmont Hotel San Francisco, Navy Pier Chicago, and even the Fountainbleau Hotel in Miami Beach, where Frank Sinatra was known to spend some time. This is an introduction to Monty's Frank Sinatra tribute. VISIT HIS OFFICIAL WEBSITE FOR MUCH MORE, AND TO INQUIRE ABOUT BOOKING. Click on VISIT WEBSITE under "Booking Info" and "Profile". "Monty, you're the closest to Sinatra I've ever seen". Gary Owens, one of the stars of the TV classic Laugh-In, and a Sinatra friend. – Gary Owens lives in Los Angeles, and is currently the voice of the TV classics channel, Antenna TV. "Monty: Whenever I watch you do your excellent tribute to Frank, it warms my heart and memories come flooding back from those days past. You bring my friend back to me for a short time but what a great time". Tom Dreesen, Frank Sinatra's friend and opening act for the last 13 years Frank performed. – Tom Dreesen lives in Los Angeles and travels often all across America. William J. Bratton, former Chief of Police, Los Angeles CA. – William Bratton has the distinction of having been the police chief in both New York & Los Angeles. Scott Williams,co-founder, Shane's Inspiration, and co-executive producer of the CBS series NCIS. – Scott Williams lives and works in Los Angeles.